Carrol Lynn was a boy from Arkansas, who went off to serve in the military. Upon completing his service he relocated to Houston where he, like many others, stumbled into a career as a Houston police officer. Lynn and his wife were living in Houston in 1956. He was pursuing a degree at the University of Houston and providing for his family working part-time. As he described events in a 1974 interview, a radio advertisement for police applicants got his attention. The ad said that those who became Houston policemen would make $300 a month. Lynn told his wife he would go to work at the Department for a couple of years while he finished college. Instead, he stayed for twenty-two years, became the police chief for eighteen months, resigned and served as an assistant chief for three years. Unfortunately, while still serving as an assistant chief, he was arrested and indicted for perjury, obstruction of justice, and extortion. 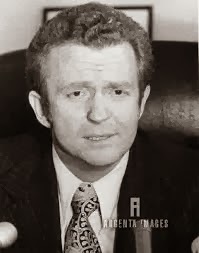 He was fired by his successor, Harry Caldwell, in April of 1978 and convicted of the charges the following Christmas Eve. Lynn was sentenced to twelve years and served five before being paroled. Carrol Lynn took the reins of the Houston Police Department at a time of radical political change. The new Mayor, Fred Hofheinz, passed over all the higher ranking officers in the department to appoint Lynn. He was a Captain at the time and those senior officers did not accept his appointment with enthusiasm. Hofheinz’ election had signaled that radical change was coming to the City of Houston. His campaign was largely based on inclusion of minority citizens in the voice of government and particularly in the police department. Adding to the discomfort of those within the department who were resisting change, was the fact that Lynn was replacing a popular chief, Herman Short, who was considered by most officers to be a “cops cop.” Short had resigned upon learning that Hofheinz won the election. It is tempting, when writing about Chief Lynn, to focus only on his self-imposed downfall which resulted in arrest and a prison term. But consider these facts. Within the first nine months of his leadership Lynn faced the following highly politicized, public and controversial issues. The week Lynn was appointed chief a mentally deranged man took twelve hostages in a grocery store. The Chief was on the scene and the situation was resolved. 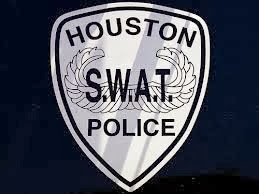 Because of that experience, he created the first SWAT Team in Houston, although some on his command staff argued against it. Just weeks later he learned that the federal government was conducting a wiretapping investigation of his Narcotics Division, culminating with arrests and convictions. Following that revelation was the very public expose’ that his Criminal Intelligence Division was keeping files on highly popular political figures. Even more disturbing for a Mayor who campaigned on minority relations was the discovery of one file reportedly titled “miscellaneous niggers,” ostensibly containing information on black citizens not important enough in the eye of those keeping track to have individual files. Finally, the investigation of a patrolman, who just happened to be the son of the Harris County Sheriff, on charges of sexual assault of a prostitute ended up on Lynn’s desk. All these incidents occurred or began before he became Chief, but were made public during his first nine months in office, placing the responsibility on him to deal with each. It wasn’t long before the controversial Mayor turned his back on the man he had picked to reform the police department. Chief Lynn’s tenure ended just eighteen months after appointment. Stepping into the job previously held by Herman Short would have been difficult for any successor. In Lynn’s case it was further hampered because, by his own admission, he had never been part of the “old boy” system. He acknowledged that during his career he had never developed a social life with other officers. But the most bizarre aspects of his police career were yet to come. After demotion to Assistant Chief, Lynn met with Houston oilman John Holden who was facing an investigation by the Security and Exchange Commission regarding the alleged sale of non-existent oil wells. The meeting included Holden’s attorney Jerry Birnberg. Lynn suggested that he could make the investigation go away for $45,000. Birnberg advised his client against paying Lynn, and reported the conversation to authorities. An investigation ensued and as it progressed, events became even more peculiar. Birnberg was ambushed and shot, though not wounded critically. No arrests were ever made. Rumors abounded, some corroborated by court testimony. Among them was that Lynn had planned a robbery of the police property room, where drugs, guns and cash were stored. His alleged accomplice was J.L. Patterson, a former employee of Holden who later cooperated with federal officials as they made a case against the Chief. The investigation, however, focused on his offer to “fix” Holden’s legal problems and Lynn was eventually arrested as he left Holden’s home carrying $25,000, a payment set up by FBI agents. He refused to resign from the Department and was ultimately fired. Police Chief Harry Caldwell was reportedly so angry that he had Lynn’s photograph removed from the wall where all former chiefs’ photos were on display at the police department. Upon release from prison, the former chief worked for a Harris County Commissioner in a security related position for some period of time. He currently lives in the Houston area and, according to a 2012 article written by Tom Kennedy in the Badge and Gun newspaper, spends his time caring for his wife of fifty years. “Carrol Lynn was the first Houston police officer I met. He was a Lieutenant in the Recruiting office when I applied and conducted my first interview. Years later, he was the Chief when I was promoted to sergeant and presented me with the gold badge. “His career ended tragically and disappointed many, perhaps none more than he, himself. Sounds like he took the patch of other lawmen through the centuries–walking both sides of the street of law and order. But, as former Chief Caldwell said "we all make mistakes; some are just worse than others."